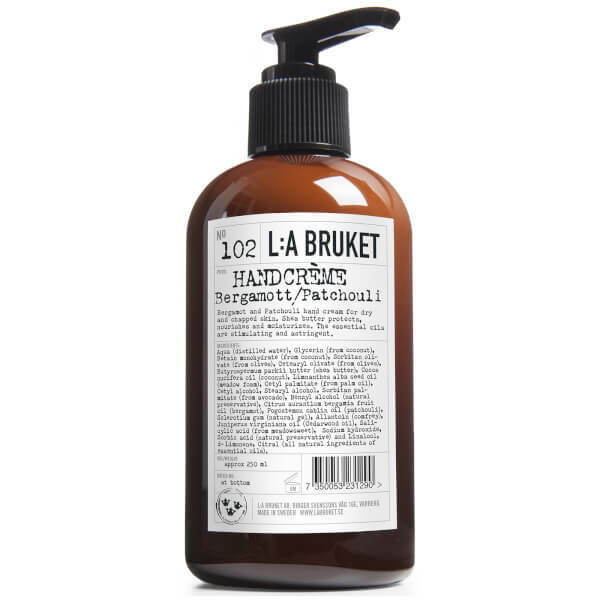 Treat dry, chapped skin to the L:A BRUKET Bergamot/Patchouli Hand Cream; a lightweight, fast-absorbing formula that works to soften and condition hands without greasy or sticky residue. Harnessing the powers of Shea Butter, Coconut Oil and Meadowfoam, rich in Omega 6 and 9, the moisturising cream nourishes and protects hands, whilst Bergamot and Patchouli Essential Oils stimulate the skin and senses. Expect smooth, supple and rejuvenated hands with an uplifting fragrance.